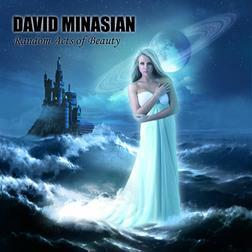 With his new album Random Acts Of Beauty recently released, David Minasian is back as a musician after years of being the concert film producer for the progressive rock band Camel. After having reviewed his latest record, I had the pleasure of doing an interview with him about the making of the album as well as his experiences with Camel guitarist and singer Andy Latimer (who is featured on the album’s opening track), his views on the current prog scene and a lot more. Before we start with the interview: can you introduce yourself and tell us something about your past musical adventures and projects? Some people in the progressive community would probably know me as having produced seven DVD’s for the legendary English progressive rock band Camel. Although I’ve been playing classical piano since the age of five, my own musical projects have usually taken a back seat to my film projects over the years. 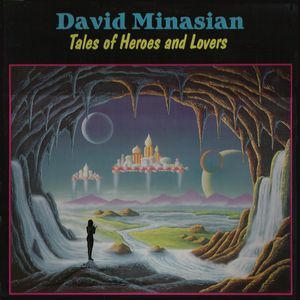 My first album Tales of Heroes And Lovers came out in 1984 and although not much happened with it, a video I produced for one of its songs did get MTV airplay at the time. I’ve since done a few soundtracks and one or two other album projects, but Random Acts of Beauty represents my first real attempt at no-holds-barred symphonic progressive rock. And I must say it is a very good example of what symphonic progressive rock is all about. Are you happy the way it turned out? Recording the album was relatively easy to do and a lot of fun. Having Andy Latimer of Camel contribute to the opening track Masquerade was a truly amazing experience and I will always be grateful to him. Working with my son Justin on the remainder of the album was wonderful as well. Both Andy and Justin’s guitar contributions took this album to a level I hadn’t dreamed was even possible. I really tried to capture the best elements of symphonic progressive rock in both the song writing and the arrangements. Even though I’ve heard the songs now countless times, I still get goose bumps listening to tracks like Masquerade, Blue Rain, and Summer’s End. What was the specific inspiration for the music and the lyrics of your new album? What are your inspirations, generally speaking? Something magical happens when certain chords, melodies, and sounds come together in a perfect manner, creating an emotional impact which is truly memorable. I’m rather partial to instruments such as the Mellotron, harpsichord, piano, oboe, cello, bass pedals, 12-string guitars, and soaring guitar leads to help create such moments. The guitar solos on Genesis’ Firth Of Fifth, or Kayak’s Phantom Of The Night, or the Moody Blues’ New Horizons would be good examples of this. I don’t try to copy these bands, but I do try and capture that kind of emotion. Can you tell us something about the creational process? How do you actually compose songs? It’s rather simple. I get an idea for a track and work out the chords and melody on the piano. I can usually hear the arrangement in my head as I’m writing. The music usually comes easy and always comes first. The lyrics always come last and they take a little bit of work. Did your son (who is playing guitars on the album) also add some ideas to it? How is it like to work with someone who is that close to you? Justin is an incredible guitar player even though he’s only twenty years old. He’s familiar with all of the great prog bands and has an amazing technique and style himself. He co-wrote the fifteen minute epic Frozen In Time with me and contributed guitar parts to all of the other tracks, except the one that features Andy Latimer. It was very easy working with him – he seemed to know exactly what I wanted without me saying anything. Please tell us something about the recording process. How did the album come together? I spoke with Andy Latimer for the first time in quite awhile back in January of 2009. During this conversation he encouraged me to finally record a new album – I had been putting it off for many years. So I got my studio set up in June of that year and the first track I recorded was Masquerade. I sent a copy to Andy to get his opinion and that is when he very, very kindly offered to play on it. From there Justin and I began working on the remainder of the album with me recording the keyboards, bass, and vocals, and Justin doing the guitar parts. I then took the tracks to my brother-in-law Guy’s state-of-the-art recording studio and that’s where Guy and Don added their drum parts and where we mixed it. The album has a very natural sound without any major touch ups and other “studio magic”. Was this done on purpose and if so, why? Yes it was done on purpose. I find that many recordings today, especially from neo-prog bands, sound too clinical, too clean. I definitely wanted a more ‘warm’ sound and resisted the temptation to add a lot of studio effects or clean up the recordings through editing. So you’re going to hear some occasional fret noise or strings buzz but I think it adds to the overall charm and realness. You really have to be careful with effects. What sounds cool and modern today is likely going to sound cheesy in a few years. The same with synth sounds. That’s why I try to stick with real sounds like Grand piano, harpsichord, oboe, cello, etc., as well as Moog sounds that have withstood the test of time. How was the work with Andy Latimer and what did you learn from him? What other musicians would you like to work with? In my opinion, your album has got a timeless sound, but what are your thoughts on contemporary progressive rock bands like Porcupine Tree or Oceansize? Porcupine Tree along with Karnataka, Mostly Autumn, RPWL, and Moon Safari are some of my favorite ‘new’ bands. I think it’s great what a lot of these prog bands are doing today. Do these bands keep the tradition or did the classic progressive rock of the 70’s get lost over the years? What is your own definition of progressive rock? I think a lot was lost during the late 70’s. Many bands were in the process of creating some amazing things when disco, punk, new wave, drum machines and plastic synthesizers suddenly cut everything short. However the return of prog in the 90’s was a great thing and the tradition can now continue. I don’t think the desire for progressive music ever stopped, it’s just that a lot of prog fans had to go hungry during the 80’s. Everyone’s definition of prog is different. But within the progressive genre, I have the freedom to create whatever I want, fuse classical music with rock, and I don’t have to worry about keeping the length of each track down to three and a half minutes. What do you think of the current problems in the music industry? There have always been problems within the industry. 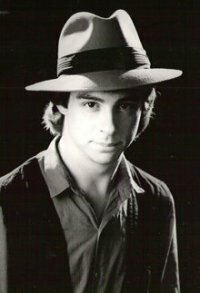 When I first tried to get a record deal back in the mid 80’s I wasn’t allowed to do the type of music I wanted to do. I knew there was a huge audience out there who wanted this type of music, but the record labels weren’t interested in marketing it to them. It didn’t make any sense. What’s so great about today is that with computer programs such as Pro Tools, you can make digital quality recordings yourself and you don’t have to spend hundreds of dollars per hour on studio time. Likewise, with the internet, you can get your music out to the world yourself. And you can do all of this without having to get the permission of some A&R record executive who doesn’t know anything. Of course the downside of the internet is the amount of piracy that’s going on. It’s going to be tough for new artists to be able to make a living doing music if this continues. What are the major benefits of working with a label vs. releasing music independently? I’m currently with ProgRock Records, which is the best of both worlds because it’s an independent label, and they’ve done an amazing job getting the album out there. As the album was nearing completion, I was debating which direction I should take – should I go with a label or try to distribute it myself. I still had my day gig as a filmmaker and I simply didn’t have the time or knowledge or expertise to distribute myself. So I decided to go with ProgRock. With them I still have the freedom to create the type of music I want, and they have an excellent distribution network already in place. Working with Shawn Gordon, president of ProgRock has been great. What are you going to do now that the album is released? Are you already working on new songs? I’m currently putting together a promo video for the album for YouTube. I will continue to help promote the album via the internet. And I will think about writing a new album after the first of the year. Are there any plans to go on a tour and if so, are you coming to Europe as well? No tour plans yet, but I’m open to the possibilities. I just want to thank everyone who has been so encouraging during the course of this project and who have let me know just how much they like and appreciate the album. That’s what makes it all worthwhile. 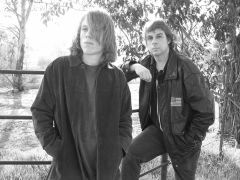 This entry was posted on Saturday, October 23rd, 2010 at 17:37	and tagged with David Minasian, Progressive rock, Random Acts Of Beauty and posted in Interviews. You can follow any responses to this entry through the RSS 2.0 feed.